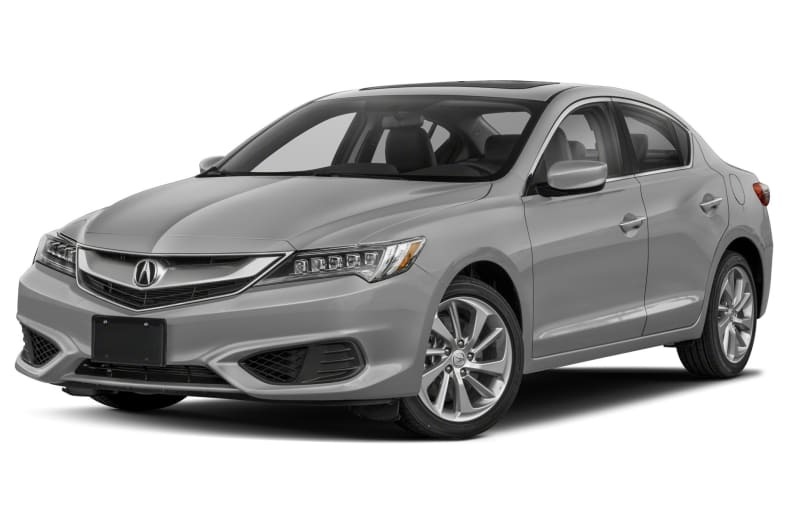 The 2018 Acura ILX is a sporty front-wheel-drive compact sedan launched as a 2013 model and substantially revised for the 2016 model year. The ILX competes with the Audi A3 and Mercedes-Benz CLA 250. A new ILX Special Edition model is available for 2018 that affordably adds 18-inch alloy wheels, rear spoiler, and a body kit. The ILX is a simple car, with one powertrain and just three models available. However, its simplicity makes it no less sporty, with a sharp 2.4-liter four-cylinder engine and paddle-shifting twin-clutch 8-speed automatic transmission. It makes 201 horsepower and 180 pound-feet of torque. Meanwhile the cabin is sweet, with contoured surfaces and instruments that are easy to read. The ILX gets good fuel mileage, rated by the EPA at 25 City, 35 Highway, and 29 Combined miles per gallon, a bit more than the A3 and a bit less than the CLA 250. That's on Premium gasoline. It's recommended but not required; power and mileage go down when using Regular octane. The NHTSA gives it five stars for crash safety, and the IIHS gives it top scores including in the small overlap frontal impact test, which very few cars ace. Acura's available advanced safety systems were rated Superior, to give it a Top Safety Pick+ rating.